There are many parts lists over the Internet, but this is not just another one. This list will be kept updated, always watching the lastest products on market, and the better cost-effective option of time. The last update of this list was in November 1st, 2017. Both indicated frames have large “pod”, that makes building process easier. Also, they allow using a HD Camera (like GoPro) on top of it, with row to put the battery on top of drone. Smaller frames requires the batter mounted under the drone in the case you want to use a HD camera on top of it, and it’s not a good idea when you’re a novice pilot. You’ll probably damage the battery during a landing. Always prefer to mount the battery on top of the drone. The 4-in-1 ESC indicated here replaces the PDB provided by both frame kits. But on Martian II frame, the PDB need to be present because it is a structural part of frame. 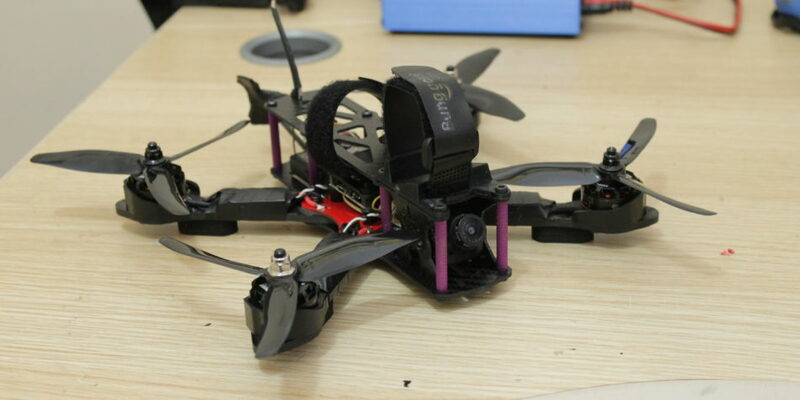 This parts list was made to deliver a optimal quadcopter cost-effective option, a machine that is good, durable, easy to build and not much expensive. 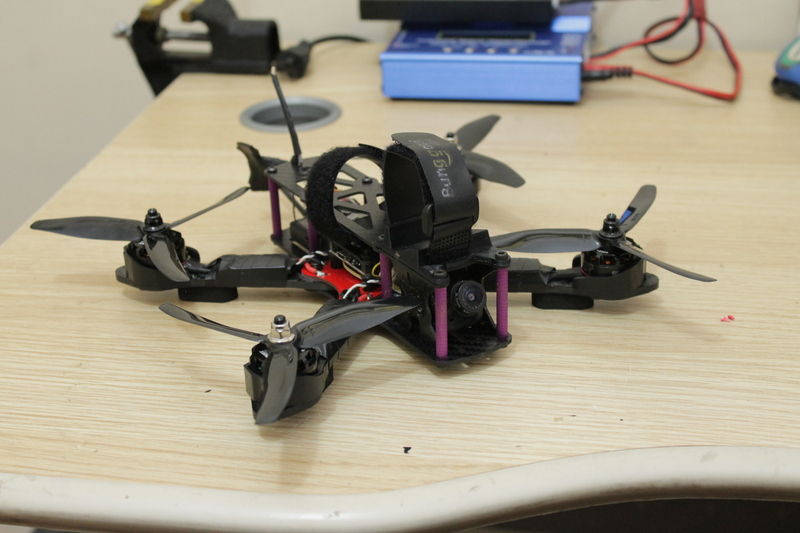 This mini quad can fly using 3S or 4S battery, and can be used for freestyle and for racing (but it’s more capable of freestyle due to the frame options provided). The total cost of this drone (minus radio transmitter, battery and other optional accessories listed) is near US$ 190.00. Cara, você recomenda usar 3s ou 4s? Qual a autonomia de voo e qual a distancia segura de sinal? A autonomia depende da sua forma de pilotar. Pilotos agressivos voam por 2 minutos em média. Se voar tranquilo, até 5 minutos. Já a distância depende do seu rádio. Se for um FlySky, até uns 300 metros é tranquilo. Já um Taranis consegue 1km facilmente. boa tarde Daniel, vc teria alguma lista, onde eu pudesse comprar as peças para drone Frestyle com transmissao de video ? vlw, achei otimo o blog. Amigo, a lista deste artigo não atende a sua necessidade? Tem para vender um nessas condições? eu gostaria de saber se vc conhece uma loja que venda peças de drone. E sobre a placa de distribuição de energia? O ESC 4 em 1 substitui ela.